It was a basic baseball skill, but one not everyone shows. In this May 1996 game, though, rookie Andy Fox showed it to perfection, beating out a grounder and touching off a Yankee comeback win. "I don't think it takes any extra skill to hustle," Fox told The New York Times afterward. "Those things go unnoticed, but it started a rally." The rally resulted in five runs, and completed the Yankees' come back from an early 8-0 score. For Fox, it came early in his rookie campaign, his eighth season as a pro. He went on to hustle through a total of nine major league seasons before his career was out, getting into 776 total games and making appearances in three different playoffs. His playing career over, Fox went on to a career as a coach in the minors, and the majors, making sure younger players showed those same fundamentals he did. Fox's career began in 1989, taken by the Yankees in the second round of the draft, out of Christian Brothers High School in Sacramento, Ca. With the Yankees, Fox started in the rookie Gulf Coast League, moving to single-A Greensboro in 1990. He made AA Albany-Colonie in 1993, then AAA Columbus in 1995. Then, to start 1996, Fox made the Bronx. Early in 1996, Fox even supplanted the aging Wade Boggs in the field, according to The Times, with Torre telling reporters that Fox was just a better defensive third baseman at the time. On the year, Fox got into 113 games, but hit just .196, stealing 11 bases. He did make the postseason roster, seeing time in each of the three series, though never getting an at bat, on the Yankees way to the championship. Fox returned to the Yankees in 1997, but for just 22 games. Out of options, the Yankees traded him to the Diamondbacks for 1998. "It worked out well for me," Fox told The New York Daily News after the trade. "Winning a World Series ring here was great, but it's nice to go someplace where people know you and want you." With the Diamondbacks, Fox's major league time, and his bat, returned. He got into 139 game, hitting .277, with nine home runs. He stayed with the Diamondbacks into 2000, traded that June to the Marlins. With the Marlins that August, Fox went 3 for 3 in one game, showing off his glove in two plays in the field, according to The Associated Press. Fox continued playing in the majors into 2004, playing 46 games his final year between the Rangers and the Expos. His playing career over, Fox became a coach. 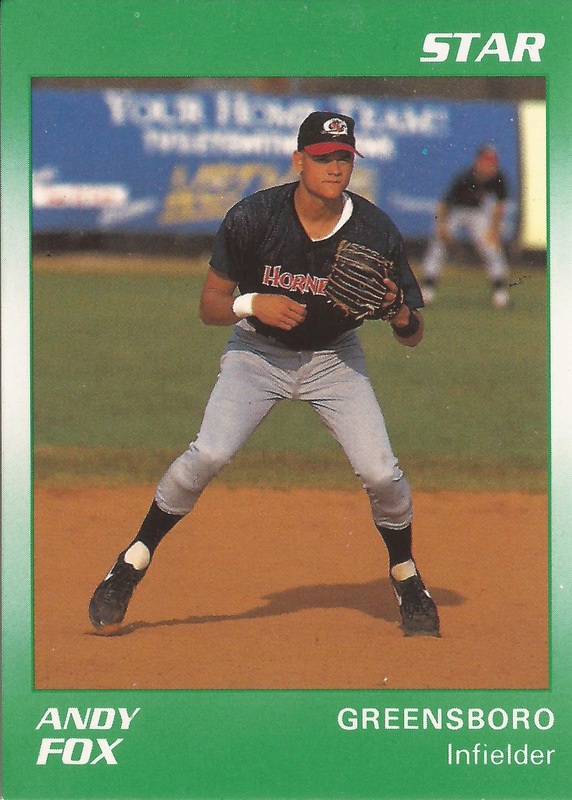 In 2006, he managed with the single-A Clinton LumberKings. In 2007, Fox returned to the Marlins as first base coach, staying there through 2009. With the LumberKings in 2006, Fox watched over young Rangers prospects. In one June game, Fox watched his players make mistakes on the base paths, something he told The Clinton Herald they shouldn't be making at that point in the season. "I like the aggressiveness, but it needs to be more of a selective aggressiveness,” Fox told The Herald. "If you're up by a couple of runs it's a different story, but you have to be more careful when you're behind."